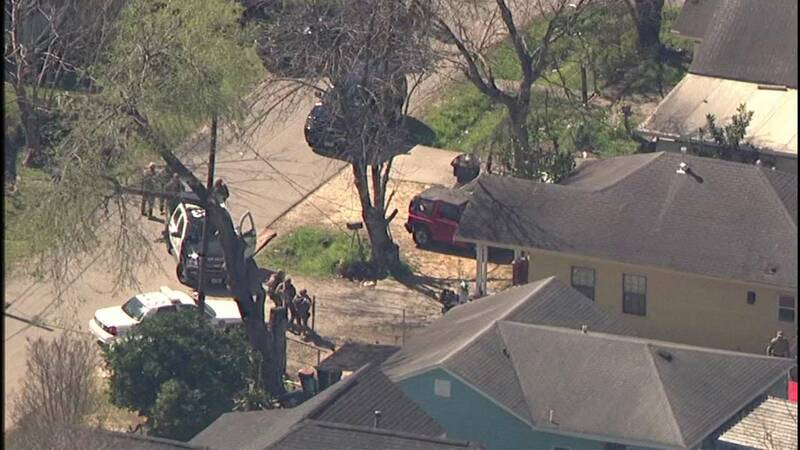 HOUSTON (KTRK) -- A SWAT standoff in southeast Houston has ended after the suspect was found injured inside the home. HPD and a SWAT team were called to the scene in the 8500 block of Leander, where a man reportedly assaulted a woman earlier in the day. Police say the male suspect was barricaded inside the home, and when officers entered, they found the man under a bed with a self-initiated gun shot wound. He was taken to an area hospital.